When you’re decorating your farmhouse kitchen, you don’t need to spend a lot of money to get a charming, unique look. There are many DIY projects to enhance your kitchen and show your personal sense of style. Some are so easy, you can accomplish them in minutes with a can of paint or a computer printer. Others take some building and wiring expertise. 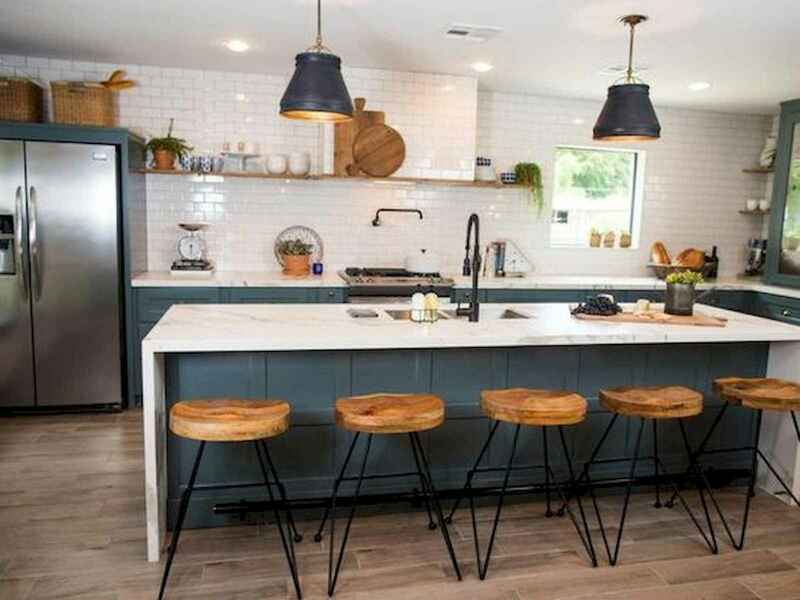 One of the best farmhouse decor trends out there is reusing old farm and garden equipment in your kitchen. The DIY utensil rack made from an old garden rake is cute and functional. There are a few great examples of how to use ladders in farmhouse style kitchens. They make great hanging lighting or pot racks. Vintage pieces are also reused in farmhouse style kitchens. The old kitchen scale is a good example. A coffee corner is a cute and cozy addition to any kitchen, and farmhouse kitchens have especially nice examples of these. Using a clever combination of stenciling, upcycling old materials, and farm animal themes, these corners invite everyone to have a warm drink and relax.